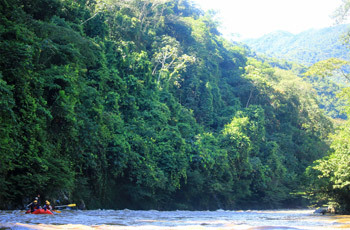 Paddle class 4/5 rapids all the way into the rio Samana. 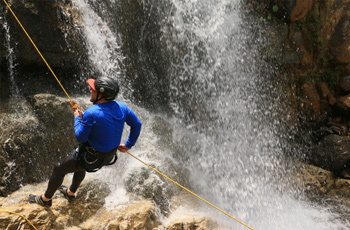 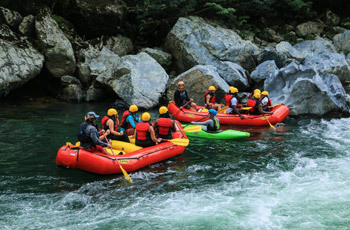 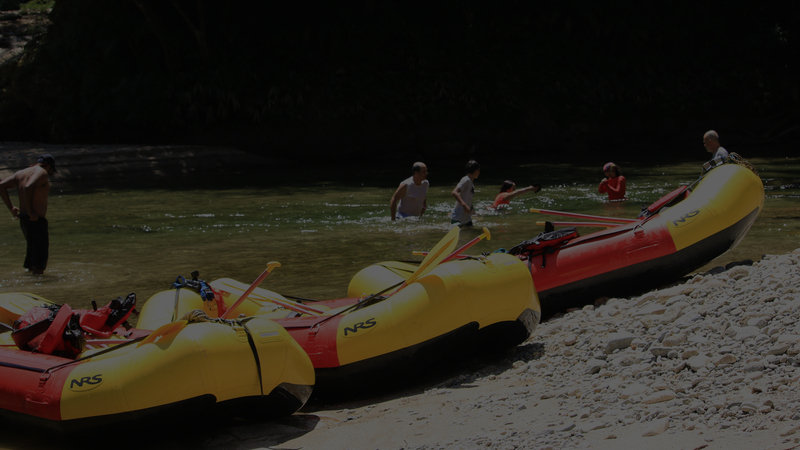 There is no better way to access the rio verde and Samana then with our specialty designed and pioneered one day expedition. 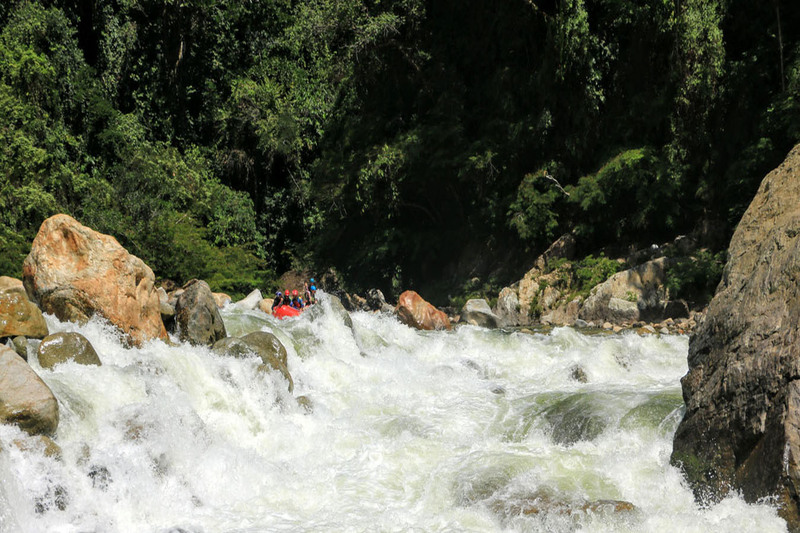 Start on the rio Calderas with steep canyon walls and many waterfalls the river moves fast and many large rapids have made their homes here portages sometimes necessary depending on water levels. 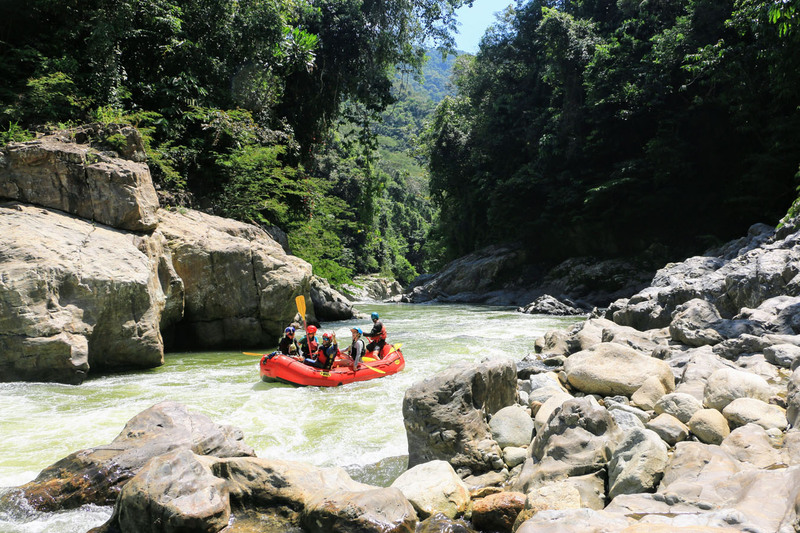 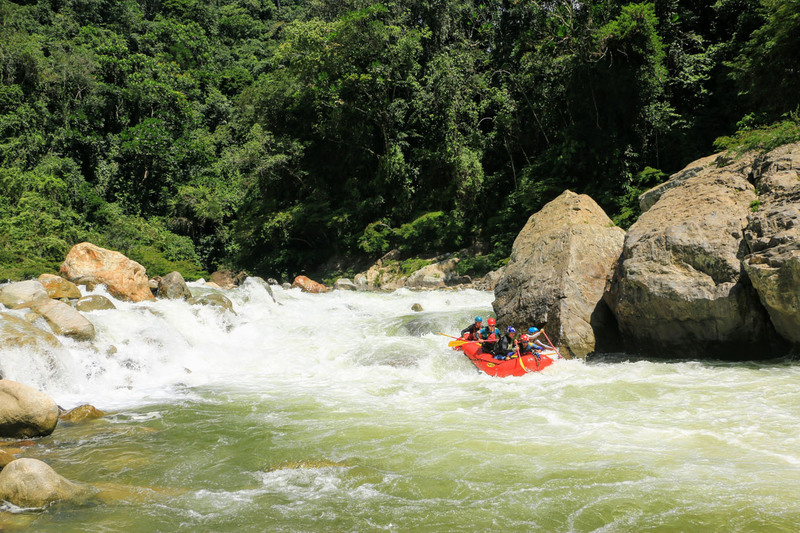 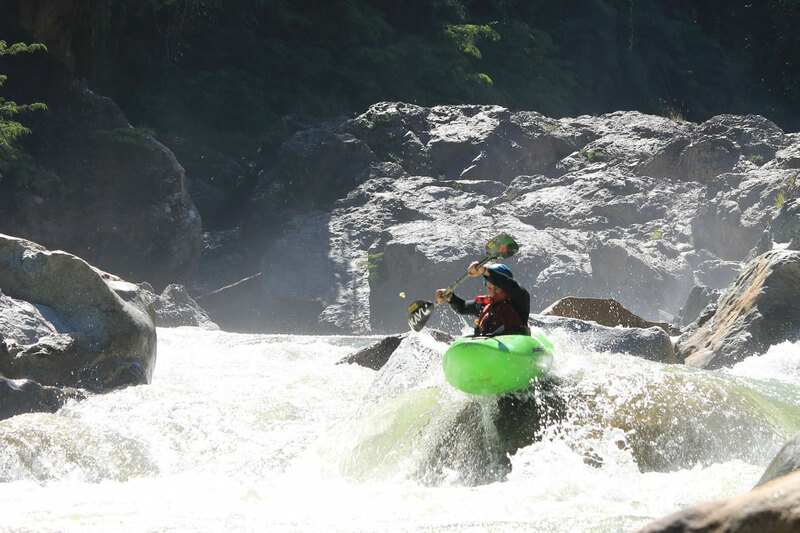 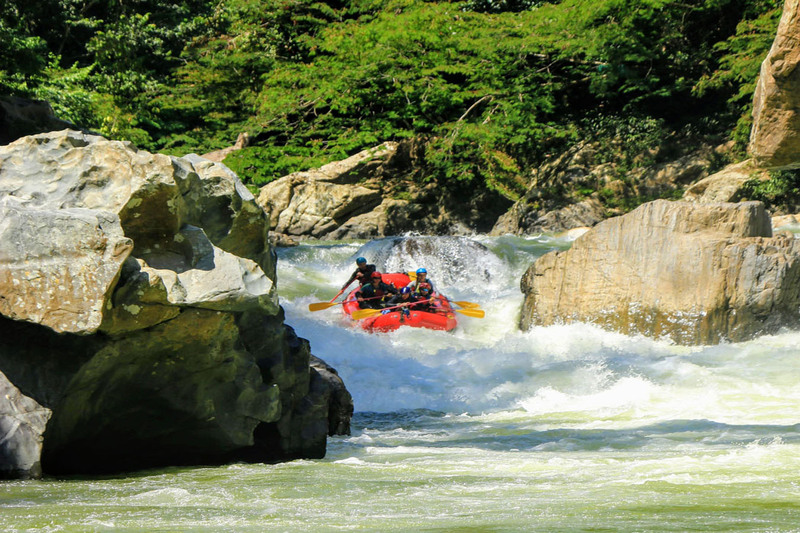 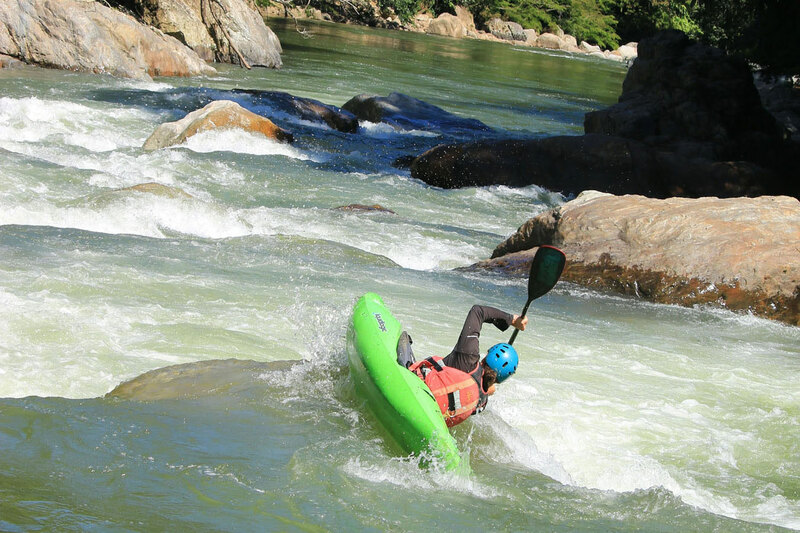 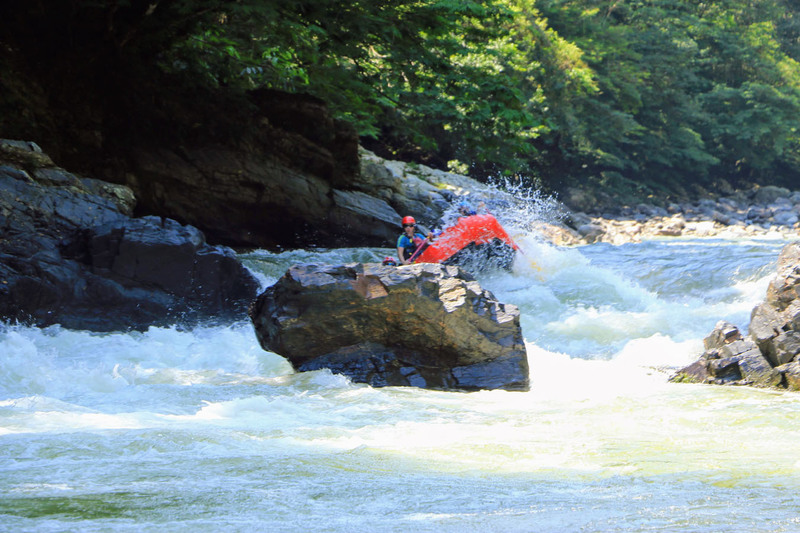 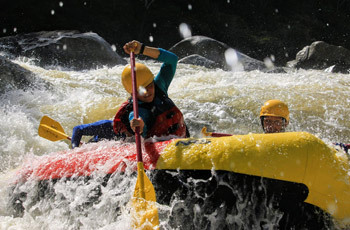 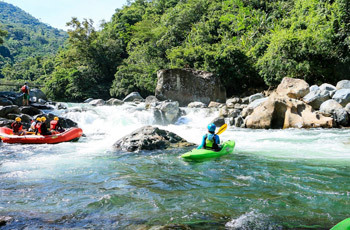 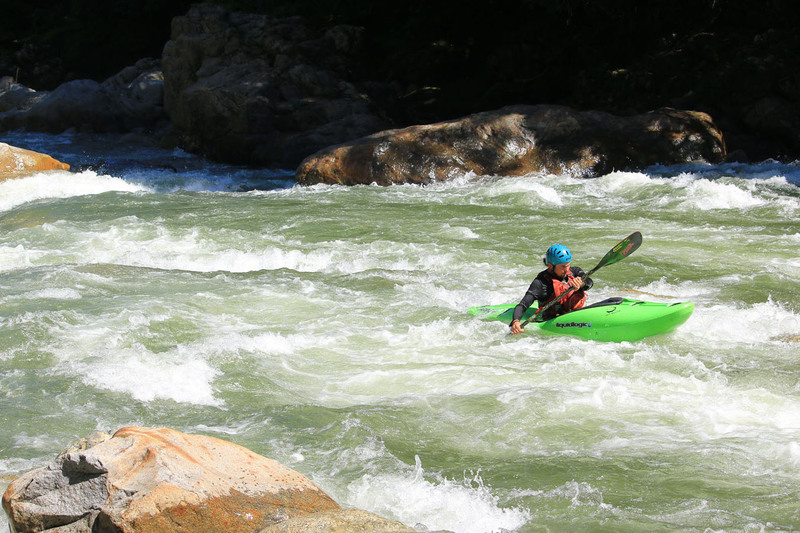 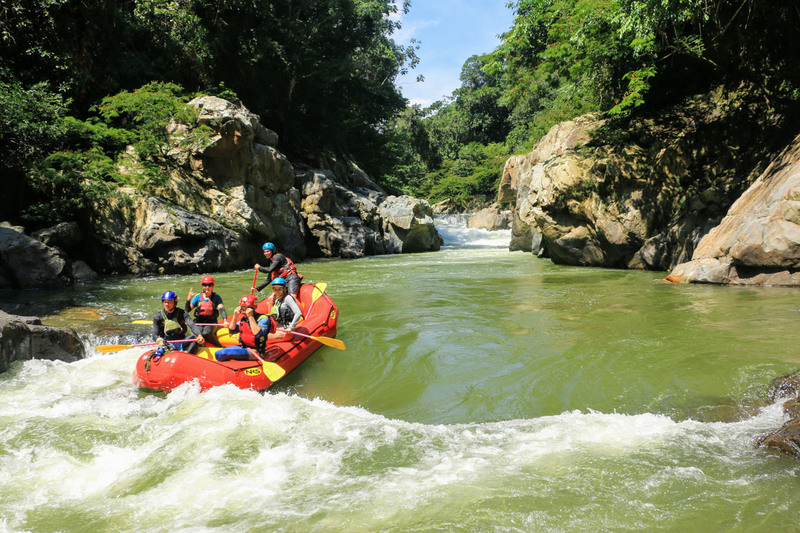 If it doesn’t get any better the river opens up as it mixes into the clean and clear rio verde and we paddle the remaining large rapids into the rio Samana. 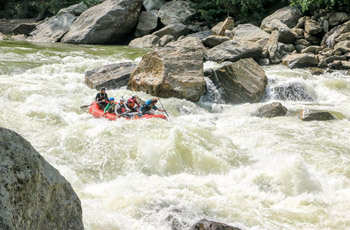 3 rivers one day. 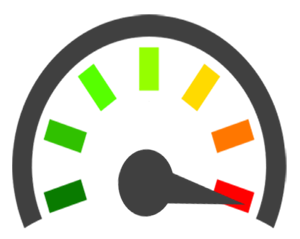 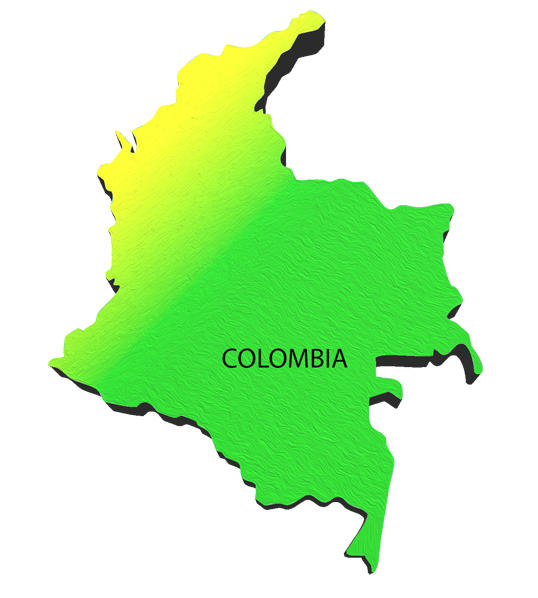 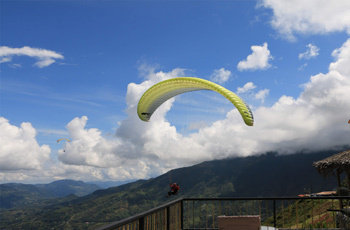 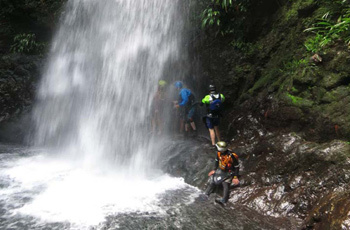 Make this trip into a 2 day expedition and enjoy more time in the jungle.